We've been talking about it non-stop for the past two weeks: IT'S TIME TO GIVE YOUR ADMINISTRATIVE ASSISTANTS WHAT'S COMING TO THEM! And that would be flowers. Yes, because Monday marks the beginning of Administrative professional's week, and as their boss, you should be the first to tell them how much you appreciate the gift they give you every day: administration! With The Flower Pot holding your hand, you can show your appreciation easily. 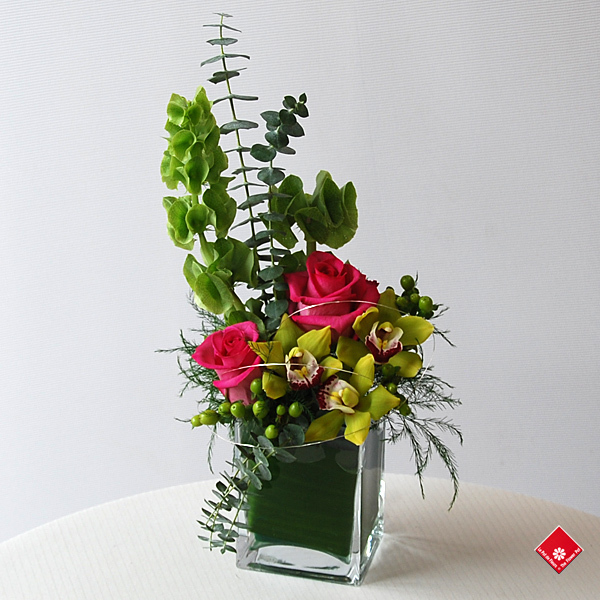 Get this lovely orchid and rose-filled arrangement, or choose from our selection of suggestions. All are the perfect size to go on a desk, and will provide hours of refreshing spring smells. The shrewd boss will get the arrangement delivered at the end of the week so the recipient can enjoy it for the rest of the weekend, but we leave it entirely up to you! Questions? Comments? Drop in, call us at 514-938-1234 or visit our website!